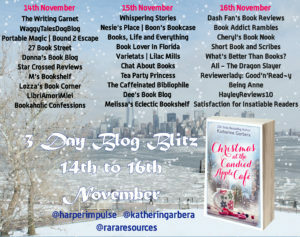 Welcome to my stop on the blog blitz for Christmas at the Candied Apple Café by Katherine Garbera. 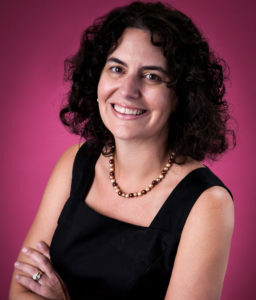 Thank you to Rachel Gilbey from Rachel’s Random Resources for the place on the tour. 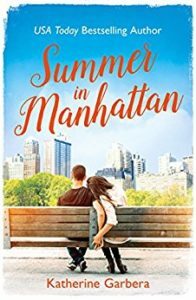 I have a lovely guest post from Katherine about what makes Christmas magical for her and there’s also a fabulous giveaway but first let’s see what the book is all about. 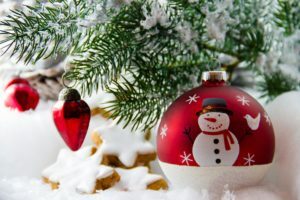 I’ve always felt that Christmas is the most wonderful time of year. I love the way my house looks when I come home and turn the lights on for my Christmas tree and then of course the lighted garland that is on my mantle and up the stairs. My kids and I have the tradition of writing clues and hiding little advent gifts around the house. It’s a lot of fun to come up with the clues and we all take turns writing them though I buy and hide the gifts. The clues we use are usually just a little rhyming couplet. As the kids have gotten older the clues have gotten more sophisticated. Another important part of our celebration in the lead up to Christmas is setting up our manger in the living room. We don’t put the baby Jesus in his crèche until Christmas morning and we take our figures of the Three Wise Men and we have them journey through the house. It’s a lot of fun and I love seeing where they end up. Sometimes when the kids were little a favorite toy would end up on the journey with the Wise Men. One year it was a Pokemon figure and Ron Weasley figurine. In my family most of our traditions revolve around food and it’s something I’ve passed onto my kids. So we have a Sunday where we pull out the cookie recipes that have been handed down from my grandmother and make those traditional butter cookies and biscotti. We spend all day in the kitchen cooking, eating dough, eating baked cookies, singing Christmas songs and laughing. If I had to pick one thing that I loved the most it would be this. Then on Christmas Eve we make a traditional seafood supper. It’s not the Feast of the Seven Fishes as some Italians and Italian Americans make. Ours is more of a feast of lobster, crabs, boiled shrimp (prawns) and salmon with a tomato and onion salsa. This is also a time when we are all in the kitchen. When my extended family is together we all take one of these dishes and make it. When it’s just my family of four we do everything together. Then we watch Home Alone on Christmas Eve and drink hot cocoa with whipped cream and the kids go to bed early. Even though they are university aged now we still don’t put any presents under the tree until they go up to bed. So I do that and then they wake up early on Christmas morning (like 5 a.m.) and we open our presents. I guess every moment I spend with my family makes the holidays magical for me. Thank you, Katherine. It’s lovely to have those traditions that you do every year. 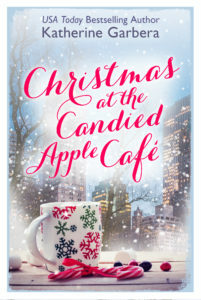 If you like the sound of Christmas at the Candied Apple Café then it’s available from Amazon UK or Amazon US. And why not take a look at the other blogs taking part in this three day blitz.